A great way to lift the lid off a cold one! 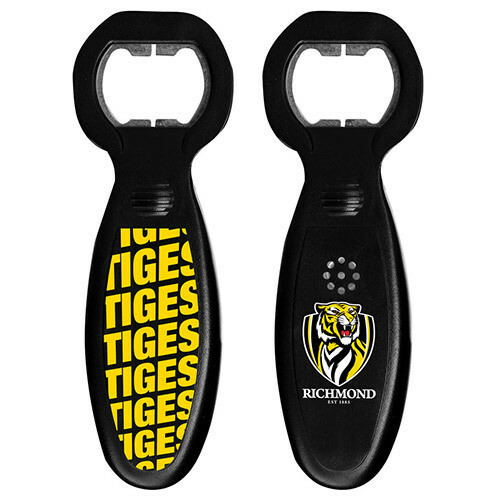 Open your favourite cold beverage to the tunes of the Tigers theme song with your new Richmond Tigers . The 13cm long bottle opener is made of a sturdy plastic with metal mouth for easy bottle opening. When used, a short 15-20 second excerpt of the clubs team song gets played for all around to hear! The clubs logo features on one side, and the clubs colours and wording on the other. A great economical gift for a huge Tigers fan!